In today’s age of smartphones where Android has become one of the most prominent OS installed, many daily tasks like making payments, shopping, recharge, setting reminders and more, are now easier for the users. These Android-based smartphones keep a chunk of data related to users and make it easy to use them upon the need. However, sometimes people accidentally lose data and in the process, they forget to take a backup. Now, I believe this situation has been faced by many of us, and the question we are left with is how to retrieve the lost data? 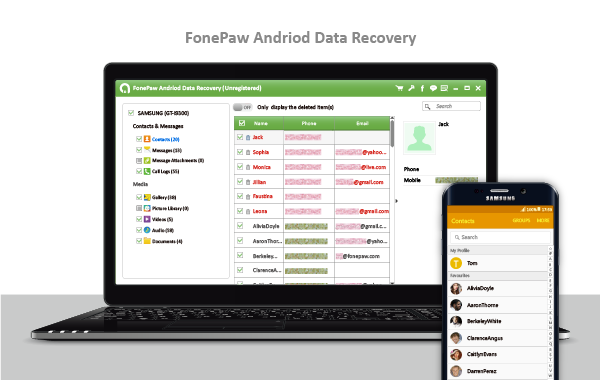 Although there are plenty of software available in the market and among them, here is this FonePaw Android Data Recovery tool which has been developed to make sure that whatever the cause of your data lost is, you get it back. What is FonePaw Android Data Recovery? FonePaw Android Data Recovery is just an easier way to retrieve lost data of a smartphone and SIM with the whole process taking less than expected time. For now, there are a few things that can be recovered like contacts, texts, call logs, photos, videos, audios, and documents. Well, it is still good to have all the phone numbers, e-mail ids and texts back easily rather than waiting for a call and asking the person what his/her name is. How Does Android Data Recovery Work? Download Android Data Recovery in your PC or Laptop. Connect your Android smartphone using the original USB cable. Turn on USB debugging on the Android phone. Choose the file types that are to be recovered. Click on Recover once the scan results appear. I guess no other software can make it look or work easier than the above-written 5-step process. Isn’t it? However, make sure that your Android phone is charged more than 20% to carry out the process in one go and so as your laptop. Also, use the original USB cable to connect the device with the computer. Text Messages – You can easily recover deleted text messages from your Android Phone with the help of this software. Contacts – All the numbers, address, e-mail ids, websites and more can be recovered from SIM or internal memory. Call Logs – Phone numbers, duration, names, and call types can come back using this option. Exported Format: .jpg, .png, .gif, .bmp, .webp, .tiff and more. Audio – music, sound records, ringtones, etc. Exported Format: .3gp, .aac, .aiff, .flac, .m4a, .mka, .mp3, .mp2, .ac3, .wav, .wma and more. Video – movies, flash, etc. 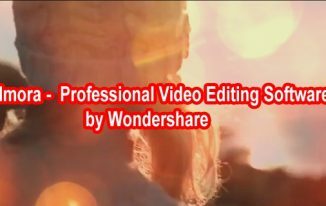 Exported Format: *.mp4, *.ts, *.mts, *.m2ts, *.trp, *.tp, *.m2t, *.flv, *.mkv, *.mpg;*.mpeg, *.wtv, *.webm, *.wmv, *.asf, *.3gp, *.3g2 and more. Document – Microsoft file, WPS files, PDF, etc. Exported Format: DOC, XLS, PPT, PDF, HTML, ZIP, RAR and more. The program allows users to selectively preview and recover files they want. User interface is very easy to understand and work upon. Whole process of data importing and recovery is very smooth. I think the above points are more than enough to make sure that you give FonePaw Android Data Recovery tool a try if something deleted from your phone, or SIM is lost, and you want it back. Why Cloud-based Service Providers Need Tech Resellers Working Internationally?